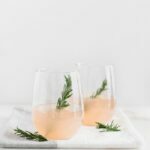 This pretty and easy grapefruit prosecco cocktail is a light and delicious drink just perfect for sharing on Valentine’s Day, Easter, bridal showers and all of your spring brunches! This post is sponsored by WinterSweetz. As always, all opinions are my own. Thank you for supporting the brands that keep Lively Table running! When it comes to cocktails, I’m all about light, refreshing drinks that aren’t too sweet and are simple to make. And if I can find all of the ingredients at the grocery store, it’s even better! Who has time to go running around town in search of specialty ingredients? And I’m pretty sure I would be frowned upon if I took my baby into a liquor store with me. This gorgeous grapefruit prosecco cocktail is the perfect kind of cocktail for me! It’s got just a few ingredients that can all be picked up at the grocery store (no judgemental side eyes for bringing my baby), it’s super simple to make, and it tastes amazing! I absolutely love grapefruit in cocktails. The subtly sweet, tart juice is a lovely pairing with so many flavors. And the pale pink hue makes any drink absolutely stunning. 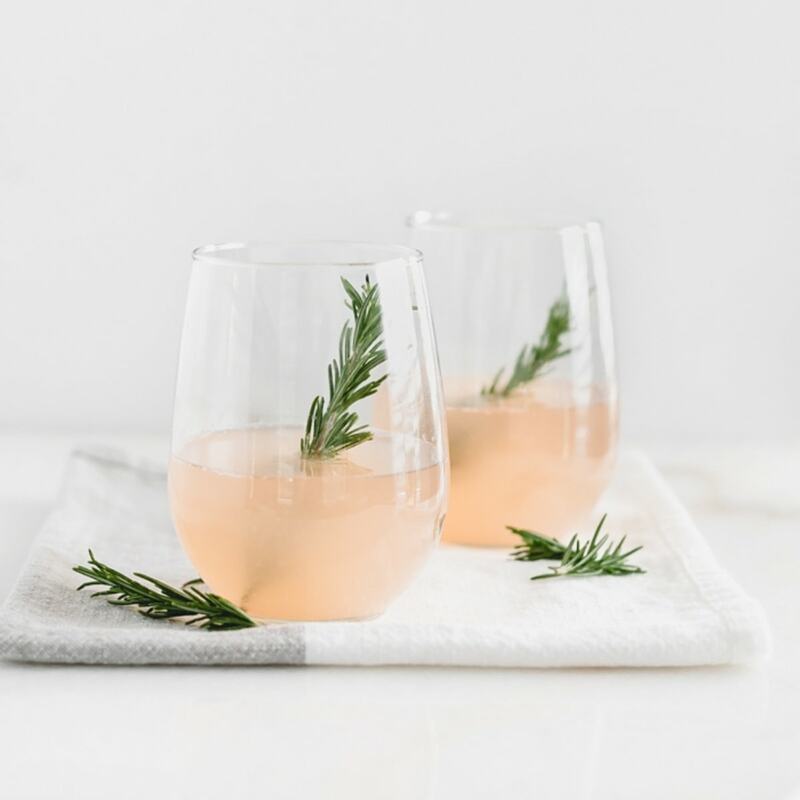 Combined with bubbly prosecco and an easy rosemary simple syrup, it makes such a delicious cocktail – just perfect for Valentine’s Day, Easter, bridal showers, and spring brunches! And since you need quite a bit of freshly-squeezed grapefruit juice, you’ll want to pick up some WinterSweetz ruby red grapefruits. WinterSweetz grapefruits (grown here in Texas!) are the sweetest, juiciest grapefruits – the juice works beautifully for making these grapefruit prosecco cocktails. Do yourself a favor and always use freshly squeezed WinterSweetz grapefruit juice in your cocktails. The bottled kind is just not the same. You can make the rosemary simple syrup ahead of time – up to a few days in advance. That way, it’s already chilled and ready to go when you’re ready to make your cocktails. You can also juice the grapefruit ahead of time, but it’s best to do that only a day or so in advance for the best flavor. To make these pretty grapefruit prosecco cocktails, simply pour a touch of simple syrup in a glass, add grapefruit juice, and top with chilled prosecco. It’s that simple! 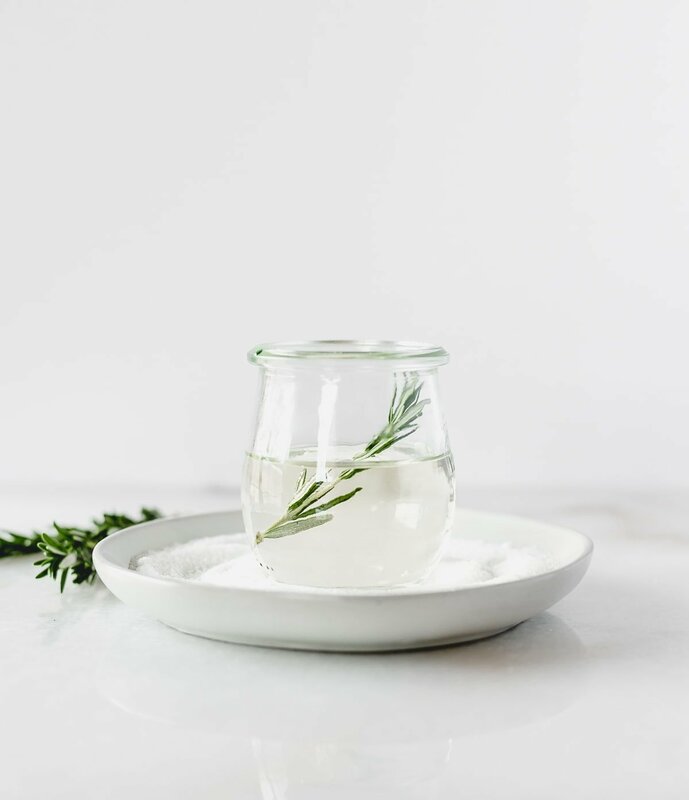 Garnish with a rosemary sprig for a drink that looks fancy, but is actually so simple. Want to win some WinterSweetz grapefruit (more than enough for these cocktails!) and a $500 Amazon gift card? Be sure to enter the Healthy Eatz with WinterSweetz Sweepstakes! Then head on over to my Instagram page for another fun giveaway. Cheers! 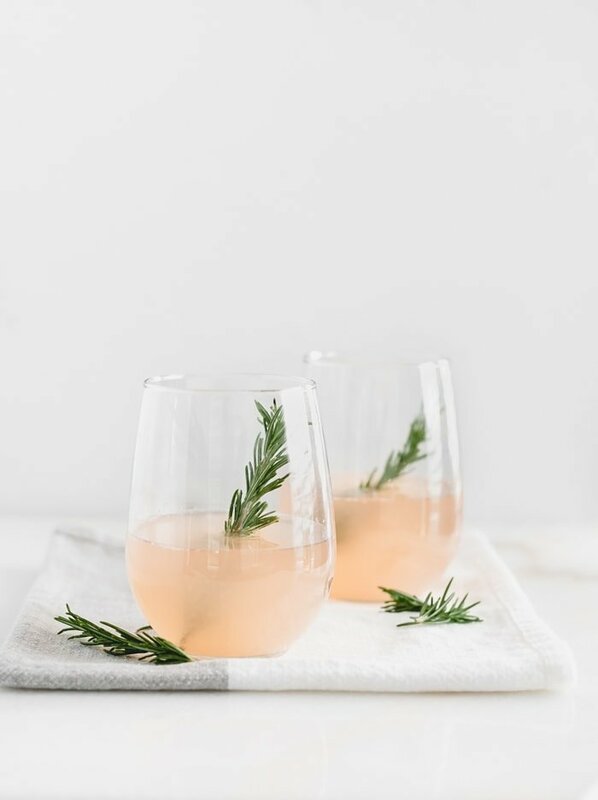 This pretty and easy grapefruit prosecco cocktail is a light and delicious drink just perfect for sharing on Valentine’s Day, Easter, and all of your spring brunches! To make the rosemary syrup, combine the sugar, water and rosemary in a small saucepan. Bring to a simmer, stirring to dissolve the sugar. Once dissolved, remove from heat. Allow to cool before straining in to a container with a lid. Store in the refrigerator. 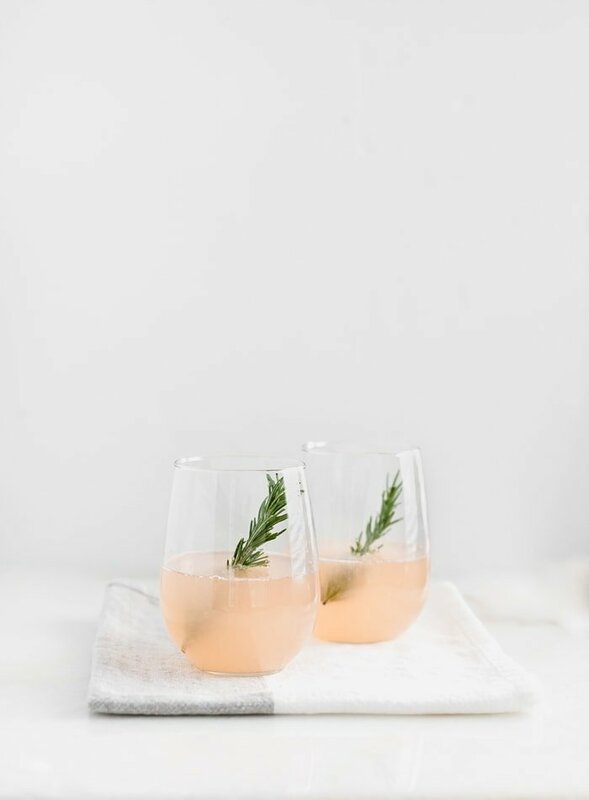 To make a cocktail, add 1/2 oz of rosemary syrup and 2 oz freshly squeezed grapefruit juice to a glass. Top with prosecco and garnish with rosemary. Juice and syrup can be prepared a day or two in advance. To make a large batch, you can mix the grapefruit juice and syrup ahead of time. Then just pour 2 1/2 ounces of the mixture into each glass and top with prosecco when it’s time to serve.